In its annual prediction on breakthroughs in digital trends, IBM says that the era of cognitive computing will truly unlock when computing devices will be able to see, smell, taste, touch and hear – digitally, of course – in the very near future. Smartphones have a come a long way in the last few years, and technology has really propelled our dependence on these devices. We have the power to navigate roads through them, perform speech-assisted searches online, even pull weather data from locations around the world in matter of seconds. However, according to IBM, these smart devices and computing in general will be able to perform tasks and functions that will truly astonish you in the coming five years. In its annual prediction on breakthroughs in digital trends, IBM says that the era of cognitive computing will truly unlock when computing devices will be able to see, smell, taste, touch and hear – digitally, of course – in the very near future. How soon exactly? In the next five years, claims IBM in its 5 in 5 report, which talks about innovations that will change our lives in the next five years. Thanks to cognitive computing, “Tiny sensors that ‘smell’ can be integrated into cell phones and other mobile devices, feeding information contained on the biomarkers to a computer system that can analyze the data,” according to IBM Research’s Dr. Hendrik F. Hamann. This will help enable smart devices detect you’re getting a cold long before you do. Dr. Lav Varshney, research scientist at IBM, predicts that a careful mix of inductive reasoning added with creativity will help enable cognitive systems in the next five years to indulge our taste buds. “Computers will be able to construct never-before-heard-of recipes to delight palates – even those with health or dietary constraints – using foods’ molecular structure,” he claims. Imagine the sensation of being able to touch through your phone’s screen to get a feel of a gadget before purchasing it online on a ecommerce website? It will distinguish fabrics, textures, and weaves so that you can feel a sweater, jacket, or upholstery – right through the screen, claims IBM’s researchers. The secret behind this cognitive computing advancement, says IBM, is to understand and translate vibrations – that which we feel when we touch some object. Our ability to see and sight (by itself) is a complex process, hitherto impossible to replicate on a computer system with a traditional programming approach. Currently, a computer looks at an image or video, it needs supporting meta tags to further understand its setting and relevance. 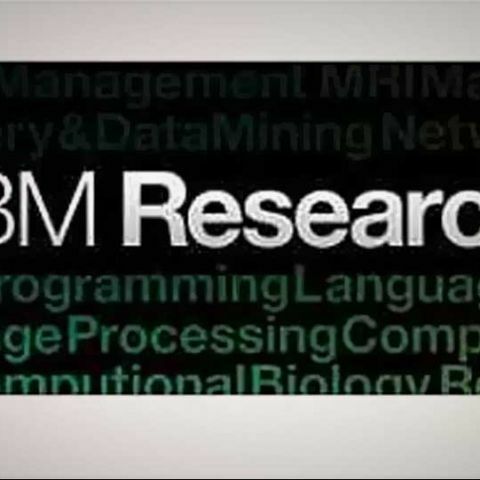 “But by taking a cognitive approach, and showing a computer thousands of examples of a particular scene, the computer can start to detect patterns that matter, whether it’s in a scanned photograph uploaded to the web, or some video footage taken with a camera phone,” IBM’s John Smith, senior manager, Intelligent Information Management. Imagine knowing the meaning behind your child’s cry, or maybe even your pet dog’s bark, through an app on your smartphone. In the next five years, you will be able to do just that thanks to algorithms embedded in cognitive systems that will understand any sound,” says Dimitri Kanevsky, IBM Master Inventor. How many computers are located in a computer?